While the filter of your HVAC units might do a lot to help, the addition of one of our systems can make a significant difference. TSC Air is proud to offer HVAC services for the homes and businesses of Ahwatukee, Chandler, Gilbert and Phoenix. Our goal is always to ensure that your systems are running smoothly and safely, as well as efficiently. From the installation of a new design to the repair of an older but trustworthy unit, we can assist with all of your HVAC needs. 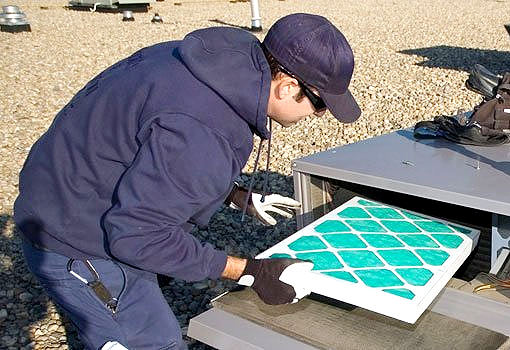 When it comes to air filtration, TSC Air is happy to install or repair any make or model. However, we do offer preferred dealer pricing on Goodman, American Standard (Trane), Amana and Day and Night (Carrier). Because we are committed to promoting environmental protection, we feature products like the Electrostatic Air Cleaner. Operating via a polarized charge that captures and removes airborne particles, this model is very reliable with a carbon-graphite charging center screen. It has the highest efficiency available for a one inch electronic air cleaner and uses an environmentally friendly lifetime filtration system. A high efficiency media air cleaner might be the way to go if you’re looking to extend the life of a central cooling or heating system. With no electronic or electrical parts, it comes with amazing warranty protection. Breathe in cleaner air with an air filtration system for your Ahwatukee, Chandler, Gilbert or Phoenix home or business. TSC Air will be glad to assist you with all of your HVAC and clean air needs. Call today! The charged-media electronic air cleaner provides a polarized charge on the media pads to capture and remove airborne particles. Its carbon-graphite center charging screen helps contribute to the air cleaner’s reliable operation. High-efficiency media air cleaners help protect and prolong the operating efficiency of central heating and cooling systems. The filter removes household dust, dust mites, pollen, mold spores, fungi, bacteria, pet dander, and smoke.